Shortbread always makes me think of the holidays for some reason. It is a simple treat that is comforting and usually pairs beautifully with cocoa or tea. 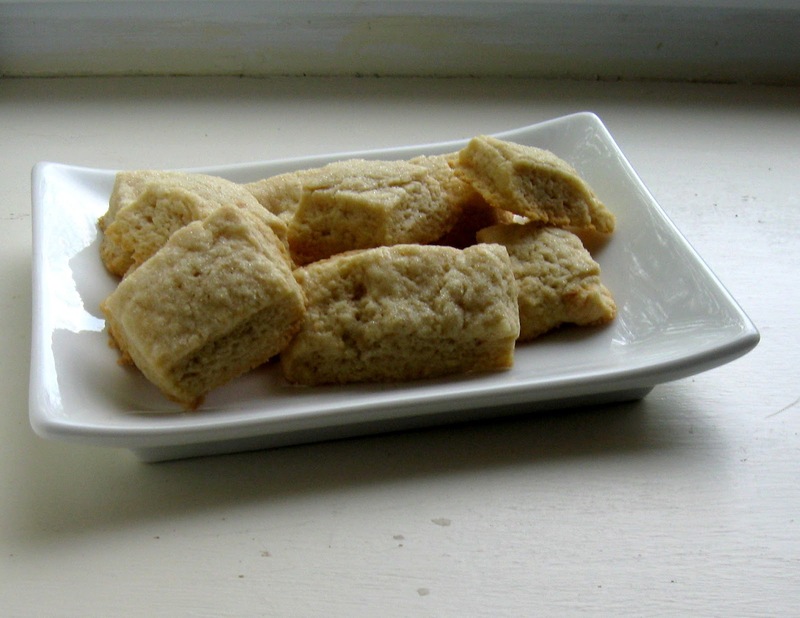 I would go with tea for this shortbread because it is flavored with fresh lemon zest. 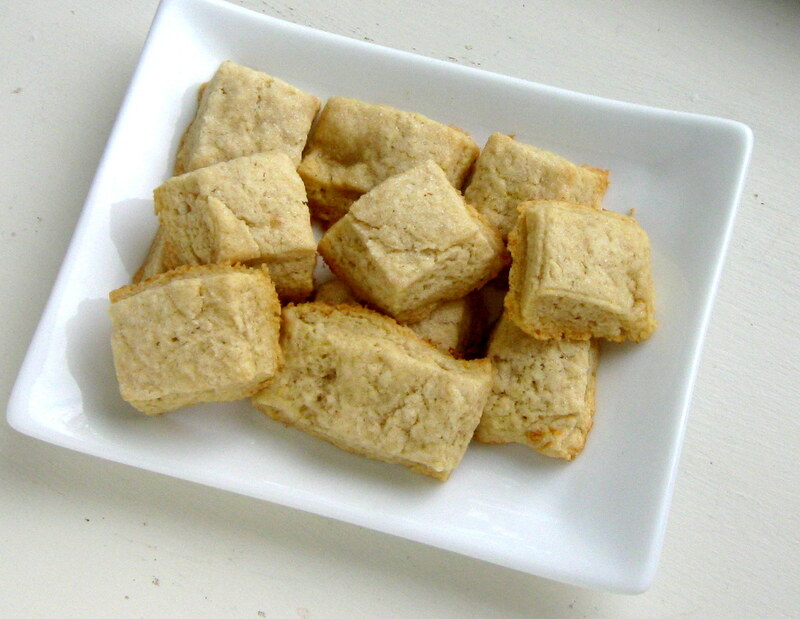 The great thing about shortbread is that it can usually be made in a pretty short time period. This recipe does not disappoint, it can be prepared in about a half hour, start to finish. As you know I love to talk about how recipes could be customized, and I think this recipe would also be good with orange zest or with some finely chopped pecans mixed in. Wouldn't that be nice? 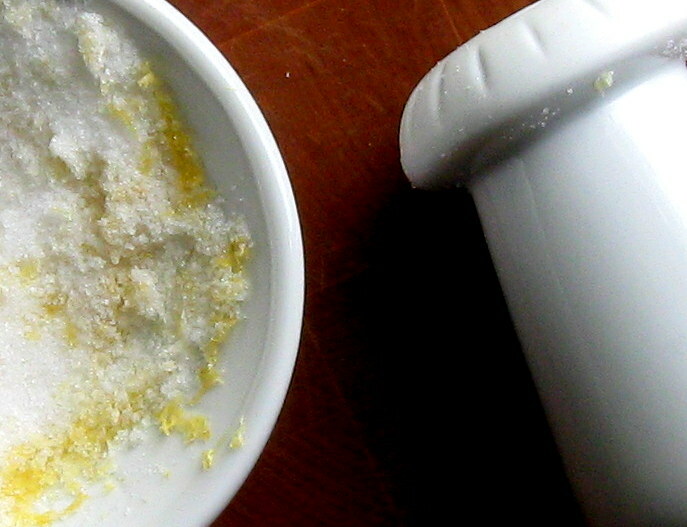 I used a mortar and pestle to grind the lemon zest and granulated sugar but if you have a clean coffee grinder or a small food processor then go for it. I'm one of those people who like to grind spices and such in the mortar and pestle when I can. Some people have the little plastic or metal disks that they use to imprint designs on shortbread. I have those and plan to make some pretty shortbread sometime soon. I'm pretty excited about thanksgiving desserts too though, in addition to Christmastime desserts of course. Fall is definitely my favorite time of year. It's so odd to me that we just moved from NC last week and had 80F days and now the high here in VA is 50F and it's 30F outside right now. It's not that far away but I think we just picked the right time to move, right before it became super cold. This is super cold to me. I'm also excited because we have a fire place now and cocoa by the fire is so great to me. Yay! I have some fun ideas for desserts I want to make in the coming weeks and I'm also looking into breads too because people usually like the bread posts a lot too. That's probably because bread is delicious. When we go to a restaurant with a bread basket I always remember what kind they have and tend to get really excited when we go, because I love bread. Love bread. Now that I've talked about how much I love bread then lets go see about these cookies :). 1. Preheat the oven to 350F. 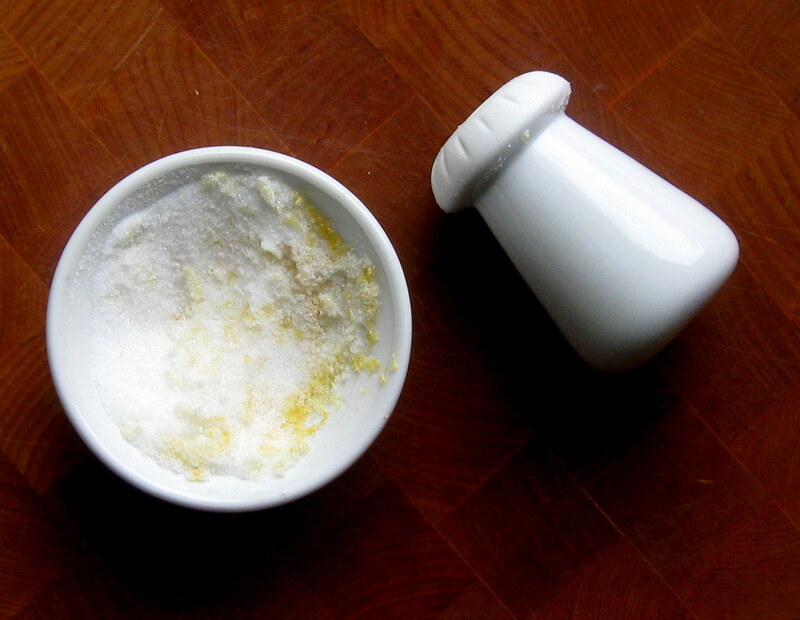 Grind together the lemon zest and granulated sugar in a small food processor or a mortar and pestle until combined well. 2. Place the flour, butter, salt, and baking soda in the bowl of a mixer and blend until mixed well and it is about the size of small peas, 2-4 minutes. Add in the sugar mixed with lemon, milk, and vanilla. Blend the mixture until it is just combined but do not over mix. 3. Roll or pat out the dough to about 6” x 7” and be sure to make the edges square. Cut the dough into 36 pieces and place them on a sheet pan lined with Silpat or parchment paper. Sprinkle the cookies with sugar and bake for 12-14 minutes or until golden brown around the edges. Cool completely on a wire rack and store in an airtight container. I am so making these tomorrow! Wish I could just steal your samples. May have to make a cookie field trip to VA, how far a ride? 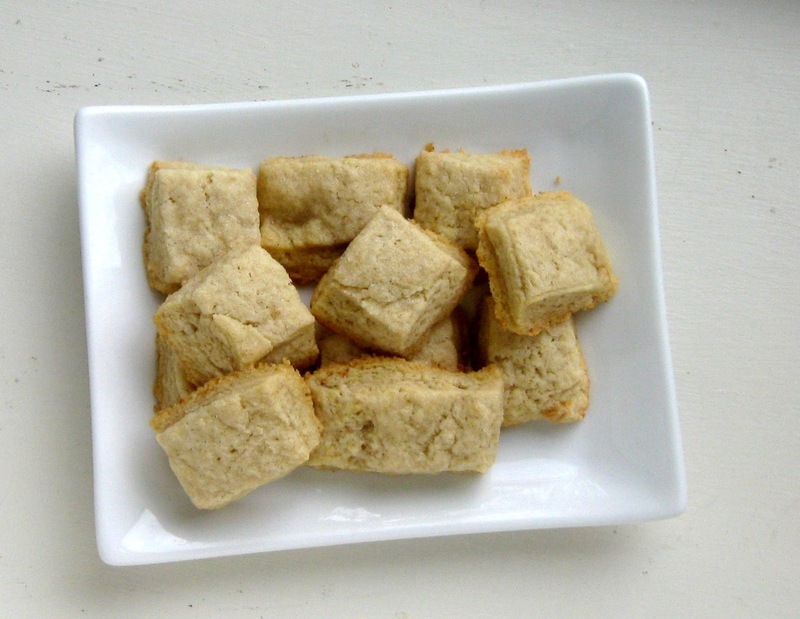 Made earl grey tea shortbread by flavoring the milk with a tea bag once, Yum! That's a great idea to use a tea bag to flavor the cookies! 12 hours later and I am ready to bake! Taking butter out of freezer, can't wait! Wow, they sound and look delicious! These sound wonderful -- you sold me on the lemon zest and sugar ground with mortar and pestle! Cocoa is the perfect thing for 30 degree temps, btw! Thanks so much for sharing on Busy Monday! I wanna be a Milky Ways!